“Is quantum physics a stepping stone to a deeper understanding of reality?” asks Michael Brooks in his report on the Vienna Symposium, which was published on November 14, 2015, in New Scientist magazine. The Vienna Quantum Symposium was sponsored by the Fetzer Franklin Fund (FFF) and its major purpose was to explore whether there could – in fact – exist “pre-existing connections between all quantum particles”: Is the world local or nonlocal? A radically holistic conception of quantum reality was first envisioned in de Broglie-Bohm theory in the 1950s, the best-known alternative formulation of quantum mechanics. The report by Michael Brooks features statements by EmQM15 presenters also, including by Aephraim Steinberg (Univ. Toronto, Canada), Lev Vaidman (Tel Aviv Univ., Israel), Markus Arndt (Univ. Vienna, Austria), Nobel Laureate Gerard ‘t Hooft (Utrecht Univ., Netherlands), Howard Wiseman (Griffith Univ., Australia), and Jan Walleczek (FFF and Phenoscience Laboratories, Berlin, Germany). 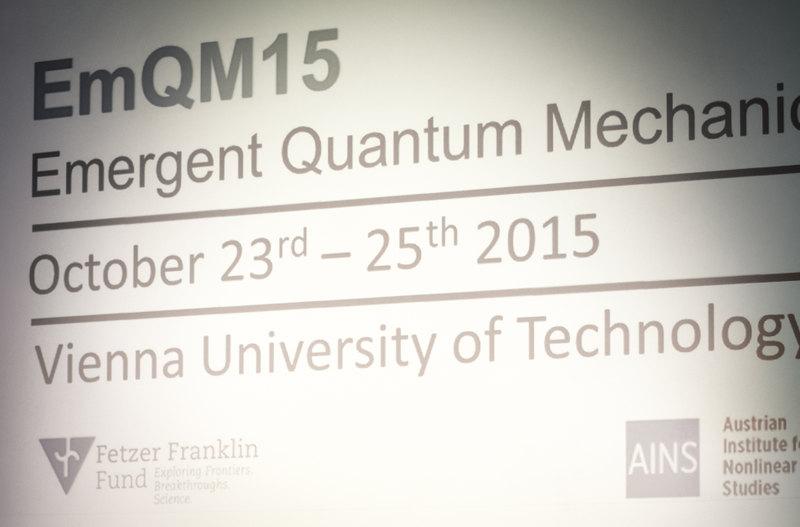 For more information about the EmQM15 Symposium see the Events section on this website or go to www.emqm15.org. For the article go to: www.newscientist.com.